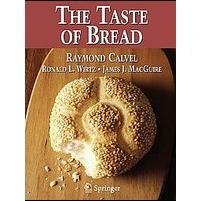 Lately, I’ve been so fascinated by various regional French breads that I’ve all but forgotten that North America has its own traditional breads. A case in point is corn bread. To many people, the term ‘corn bread’ conjures up visions of the dense, sometimes sweet, chemically leavened quick bread that is a staple of many a Thanksgiving Day table. To my mind, corn bread is a yeasted bread, based on wheat flour but with a substantial amount of corn flour used for its flavor, color and texture. 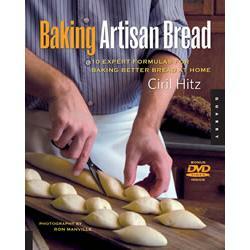 Because corn flour cannot form gluten, corn bread by nature has a relatively tight crumb. Taking a cue from Suas’ Advanced Bread and Pastry, I decided to dress up the bread a bit with some shaping and stenciling techniques. 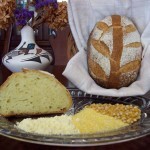 The idea was to form the loaves in the shape of a corn kernel, with the stenciling and scoring designed to give the impression of a stylized corn stalk. I’ll leave it up to you to decide whether or not I was successful at achieving the desired effect. 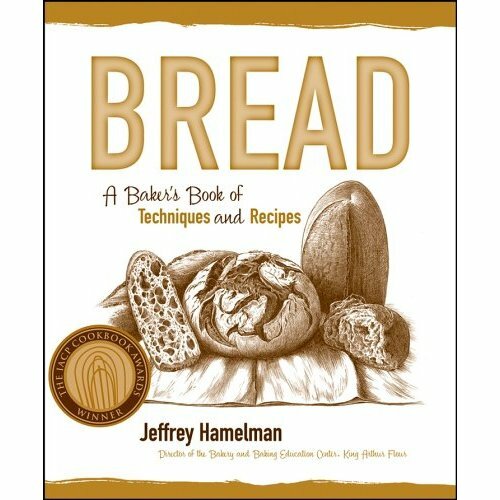 The formula used here is a modification of the one described in Hamelman’s Bread: A Baker’s Book of Techniques and Recipes. 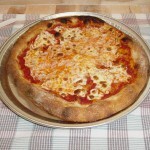 Instead of using fine corn meal as specified, I used yellow corn flour to give a finer crumb. White corn flour should work just as well. 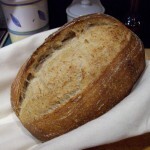 The evening before baking, the poolish was prepared by mixing the flour, water and yeast and allowing the mixture to ferment at 72ºF until mature, about 12 hours. 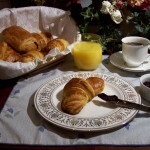 The following morning, the corn meal was added to the final dough water in the bowl of a stand mixer and, after stirring to suspend the corn flour in the water, the rest of the final dough ingredients was added. The mixture was then mixed at speed 2 for 3 minutes to incorporate all of the ingredients. 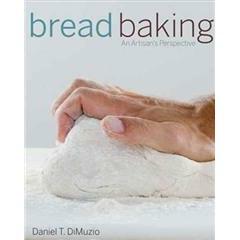 After incorporation, the rough dough was removed from the bowl of the stand mixer and then hand mixed until a smooth dough of medium consistency was achieved. 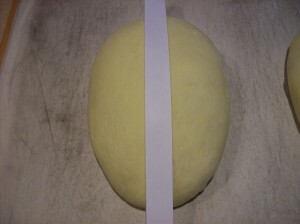 The dough was then placed in a lightly oiled covered container and allowed to ferment for 1½ hours, half-way through which the dough was given a fold. The loaves were then scored three times on both sides of the stencil and baked at 450ºF for 30 minutes, the first 10 minutes of which were under steam. 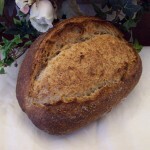 The resulting loaves had a thin, crisp crust with a golden yellow crumb. What a beautiful loaf and such an artistic effort. I love your attention to detail. How was the flavor? As you say most of us have a mental imprint of a sweet quick bread when we think of corn bread. I like the aroma of corn tortillas off the grill, is there any of that? Yes, the stenciling and slashing gave wonderful results! 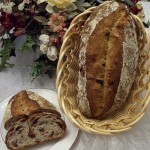 Looks very yummy and the crumb had a nice yellow color. Great recipe, Steve. 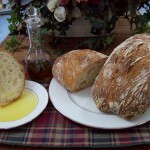 Eric, the bread had a wonderful corn aroma and a corn flavor that was really accentuated when the bread was toasted. Jane, I was a little concerned about whether my decorative plan would work out. Thanks for the encouragement! Steve, I am so impressed…it looks beautiful. Did it have a tight crumb? Penny, thanks for your comments. The crumb was a lot more open than I had expected, perhaps due to the use of corn flour instead of the recommended fine corn meal. Yummy! 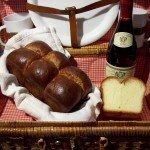 Beautiful bread, and I’m not a fan of corn breads. 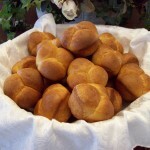 One of my sisters is looking for a good corn bread, I’m just going to send her a link to this recipe, thanks Steve! Flo, it’s always nice to be able to win over the skeptics! I hope your sister enjoys the bread. It makes a nice addition to the Thanksgiving Day table here in the US. 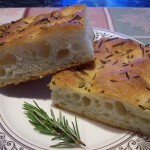 For anyone having an interest in gluten-free bread, Flo has a very informative series of posts on Makanai. 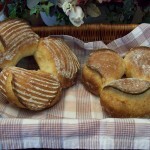 Steve, thanks for your visit at my version of your normand bread ) and this bread is beautiful. 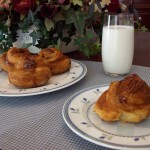 I enjoy with the recipe and the photos. 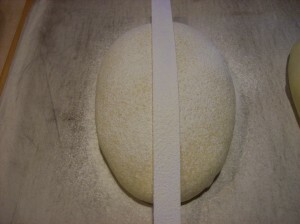 Carmen, when I’m ready to take on the challenge of baking some of the regional breads of Spain, I hope you (and Mònica from http://www.bonsfocs.blogspot.com) will be willing to give me a few pointers. Very clever to use the paper to create a pattern with the dusting flour. Did you use corn flour for dusting? 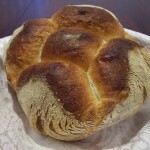 This bread looks very much like the Portuguese style broa that I have been meaning to make for quite some time. 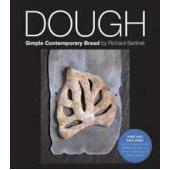 Even though it’s quite open, is the crumb on the dense moist side? Elizabeth, in this case I dusted with regular all-purpose flour, simply to get a better contrast between the golden color of the crust and the white color of the flour. 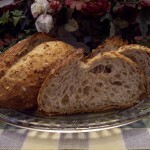 Although it’s hard to tell from the photo, the crumb is actually quite light, not at all dense. 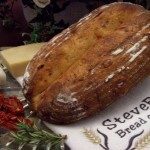 Hi Steve, be sure that will recieve our help with Spanish bread. Carmen is the kneading Queen . 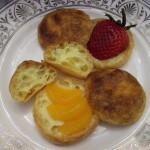 Just today Madrid tiene Miga has published (by Gusete) one recipe from Andalucia, I am sure that you have seen it. Mònica, thank you for your willingness to help. 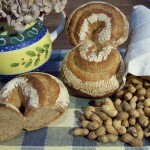 I have seen the recipe from Andalucia on Madrid tiene Miga and have added it to my list of recipes to try. Christiane, merci pour le compliment. Je vais attendre pour connaître de votre réussite. Carmen, I think both you and Mònica are being modest! 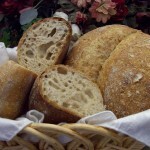 Steve, here in Galicia (NW of Spain) corn bread is very tradittional , and never, never sweet! Althought sometimes it contains raisins, it´s always eaten with the main courses, specially in summer with grilled fresh sardines. Oscar, thanks for your kind words about the blog. Grilled fresh sardines with corn bread sounds like a great combination. I’ll have to try it soon. I made the corn bread today and it turned out great. I had my doubts during the fermenting and forming stages and was quite concerned as I put it in the oven but the spring cured all. 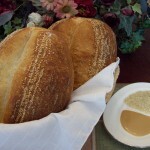 I made the bread with a very fine corn meal. 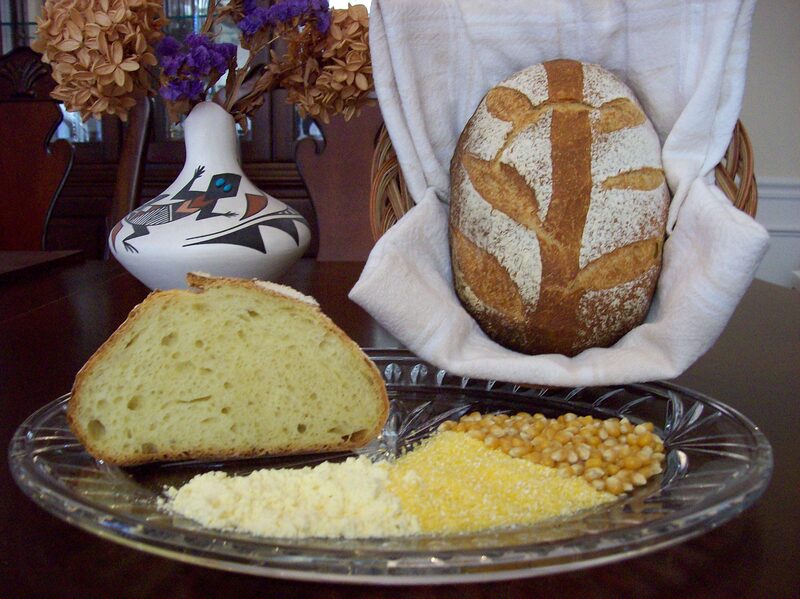 The final result is a softer light crumb that still has the granular texture of a “traditional” corn bread. And a delightful crust, thin and hard. During the forming it was obvious that the dough had too much water in it, not runny however definitely not the dough I have come to expect from your recipes, thus my angst. As I was only able to fit two loaves in my oven at one time the third loaf had to sit out another half hour. It did not keep its shape but spread out on the cloche and was thiner than the other two. Next time I will use slightly less water in the recipe. what a beautiful loaf! i happen to have a 25 pound bag of blue corn masa harina in my kitchen (seemed like a good idea at the time, and it does make great tortillas–but a meal’s worth only uses 2 cups) and am wondering if this would work as the corn flour in your recipe? thanks. My understanding is that masa harina is different from plain corn flour in that it has been treated with lye, then dried and ground. You may obtain different results than that shown in the post above. That being said, if you are the adventurous type, why not try it? CORRECTION – Masa harina is corn flour that has been treated with slaked lime (calcium hydroxide), not lye (sodium hydroxide). Thanks go to Dan DiMuzio for pointing out my inadvertent shift from Group 2 to Group 1 of the Periodic Table! excellent point, steve. i do use it in making “traditional” joy of cooking skillet corn bread, and its softer texture (than yellow corn meal) gives a unique quality–plus its blue. different but yummy is fine with me. and i guess you pretty much know i’m adventurous or i wouldn’t have a 25 pound bag of an ingredient i’m still figuring out how to use! after reading your comment, i emailed arrowhead mills (the source of my blue corn meal) and inquired about its properties. they replied that it is milled in exactly the same way as their yellow corn meal, both without lye, and the differences in texture are due to the differences in the corn varieties’ particular qualities. so my ingredient is not masa harina at all. still, it’s not corn flour, which your recipe calls for. 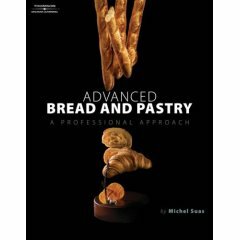 but i’ll try it next baking and let you know how it goes. and next time i’ll do my homework before posting a question to you. it’s so kind of you to reply to all our queries! 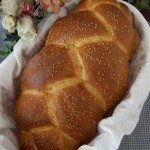 i`m impressed with the remarks your corn bread made, yet I`m still looking for a wheatfree loaf.. being part corn of not. 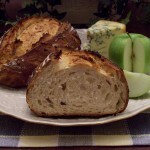 There are many sites on the ‘net that deal specifically with wheat-free baked goods. Perhaps a Google search might provide what you are looking for. 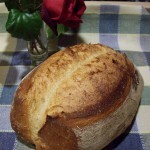 Thank you for this recipe – I bought some corn flour by mistake (thinking it was fine cornmeal) and I had been looking for a bread that uses some cornflour. 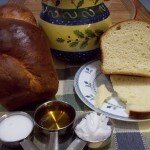 The final product is lovely and delicious – though I am not a big fan of white breads. 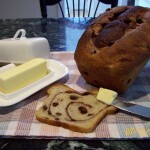 I think next time, for added flavour (not to mention health) – it would be well to try adding a little whole wheat flour. 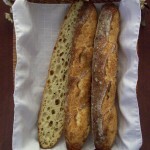 As it is, the crumb turned out to be fairly light and open but not like say- a baguette. 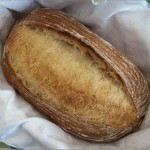 It has a pale yellow colour and the crumb is thin and crisp. I made all three loaves together with one inverted between the other two. They did have to be seperated but that’s fine. 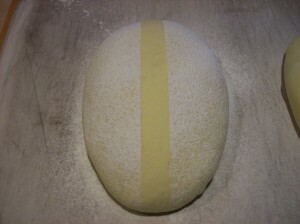 Truly a lovely bread and the stencilling worked very well. 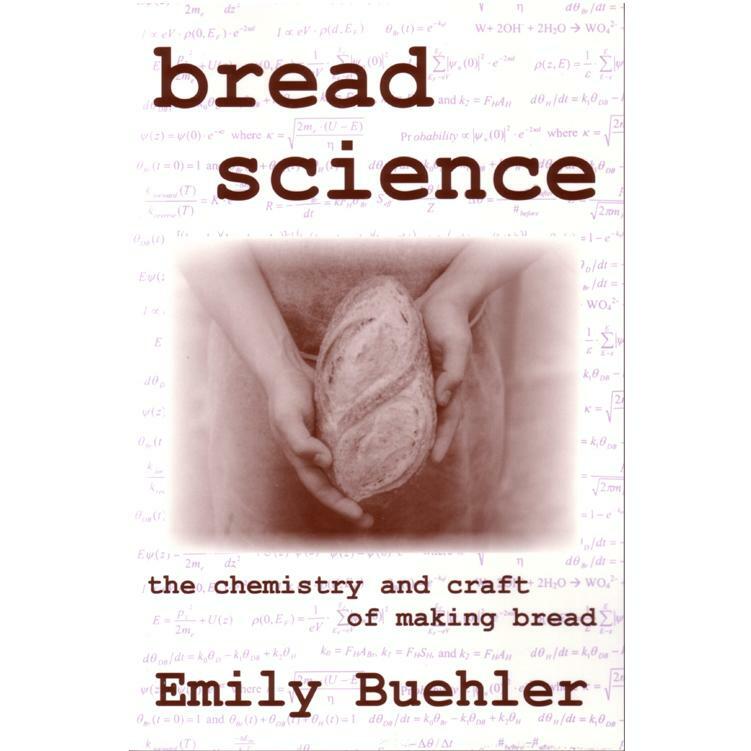 Because different flours (and, indeed, different batches of the same flour) can have differing water absorption characteristics, it’s always a good idea to withhold approximately 5-10% of the recipe’s stated amount of water when first mixing the dough. 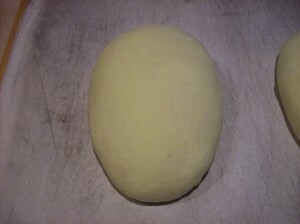 The remaining water can then be added, if necessary, to obtain a dough with the desired consistency. 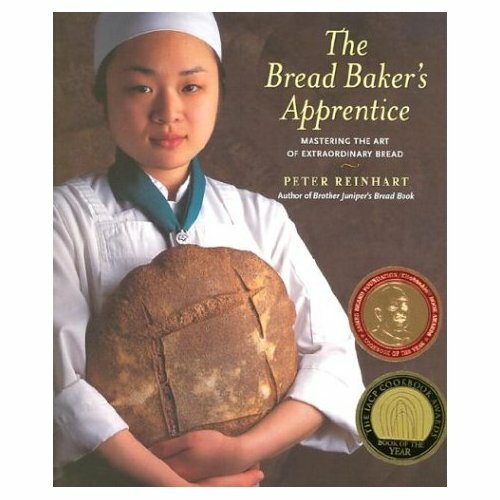 Hi again Steve, i baked your corn bread, substituting all the poolish with sourdough starter, instead of corn flour i used 75% of thin milled corn flour (farina di mais fioretto (Ecor)) and 25% of coarse ground (polenta bramata Ecor) with “0″ flour with 13% of protein (Alce Nero), it took me 40 g more water, that i added after first gluten was developed. 30 min more for first fermentation and 30 for proof (maybe i needed add more, because loaves cracked a little in the oven) with temperature around 23C. 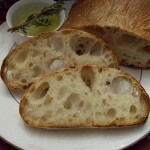 Crumb is slightly less open, taste delicious! thank you. 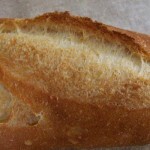 Bonjour, votre pain à l’air délicieux !! J’adore le pain au maïs. 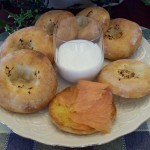 The original recipe described by Hamelman uses fine corn meal. 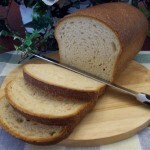 I modified the recipe to use corn flour, which is even more finely ground than the corn meal, thus giving the resulting bread a more finely textured crumb.